The outgoing Governor of Imo State Governor, Rochas Okorocha, has said he is going to the Senate to fight for free education for Nigerian students. The governor also said he would be using his membership of the upper chamber of the National Assembly to help rebuild the bridge between the South East geopolitical zone and the rest of the country. 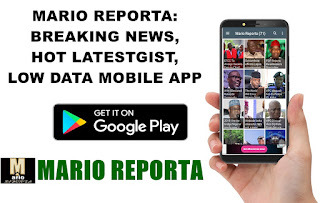 Okorocha, whose second term in office ends in May, 29 this year, also boasted that Imo State under him has remained peaceful due to efforts by his administration and with partnership with security agencies. The governor stated this on Monday when the new Commander of the 34 Artillery Brigade, Obinze Yusuf Tukura paid him a visit in his office in Owerri, a statement by his Chief Press Secretary, Sam Onwuemeodo, revealed. According to Okorocha, free education would give children of poor Nigerians access to education. He said: “I also want to use the opportunity of being in the Senate to rebuild the political bridge that links the South-East with the rest of Nigerians.